Use Visual Parsic to create fully performing apps, perfectly applicable to most PICmicro 8-bit family. All your content of your project are safely stored in a unique file, that can be modified anytime. 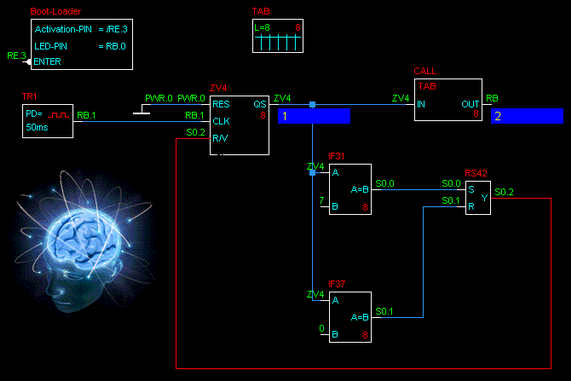 Using Visual Parsic, you are able to create sophisticated apps using an intuitive tool, easy to use. 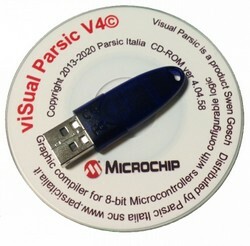 Visual Parsic is a graphical programming environment for Microchip MCUs, physical computing devices and robots. 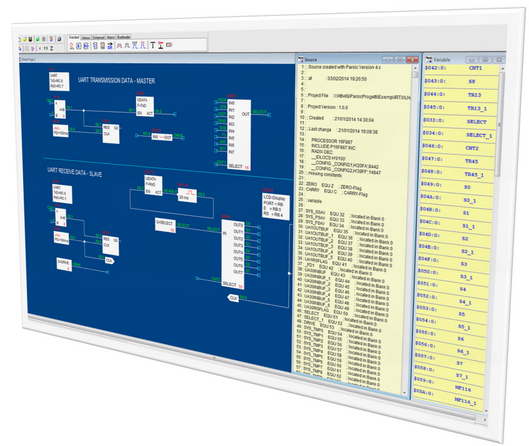 Visual Parsic V4 is a full-featured assembler and compiler for most popular PIC microcontroller. No language skills are required. You connect logical functions, Parsic built it for you. Visual Parsic is the fasted way to create apps for PICmicro. Easy to use: just a few clicks and the first program is running. It does not need to be installed, except for programs, that are required for specific applications, like MPLAB or PICkit. It can also run from a pen drive. 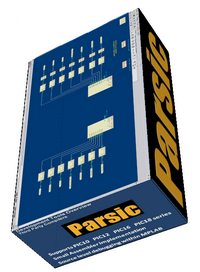 Parsic is modular an expandable. With macros, the user can create it's own objects. Postal Service and Express shipping service by UPS/DHL/FEDEX.